From time to time anyone of us can suffer with jet lag. Usually occurring with travel involving even small time shifts, jet lag can certainly interfere in getting a great night’s sleep. In fact, jet lag can easily be referred to as ‘jet drag’. It not only can make us feel wiped out, but the wear and tear of jet lag can cause physical, mental and emotional challenges. For those of us who travel a lot, or even a little, popping a sleeping pill, whether over-the-counter or prescribed, might seem the easy and logical solution. I beg to differ though since current sleeping meds influence our brains in much the same way as hypnotics. And, while hypnotics knock us out and we sleep, they don’t allow for refreshing and health generating restorative sleep. 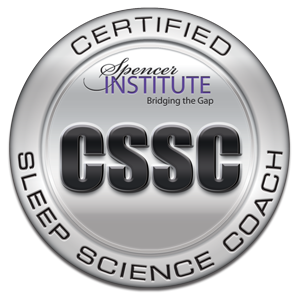 That’s the type of sleep where we pass through the various sleep stages and cycles that rejuvenate and help us feel great. It just so happens my spouse and I are in Italy as I write this. Here’s what we’re doing to deal with our own jet lag. We’re eating well - fresh food, easy on the wine and sweets. We’re strategically drinking a cup or two of coffee in the morning to give us an early boost as well as to support us through the afternoon and into the evening. We’re getting natural daylight while outside which is an enormous help to adjust our biological clocks. I don’t usually endorse melatonin, but for this trip which is a relatively brief period of time, we’ve been taking 1mg before bed for five nights thus far. As we adjust to Italian time, we’ll reduce the dosage to .5mg and then 0. In addition to melatonin, we are also taking approximately 200 mg of magnesium glycinate each night before bed. Truth be told, we take magnesium even at home when we’re not jet lagged since it’s great for relaxing the overall body and really helps to lull one to sleep! Do you have your own suggestions for jet lag that you’d like to share? If so, write and let us know. Your comments are always welcome! If you found this article helpful, please pass it on to any and all who could use some support with their own jet lag concerns.